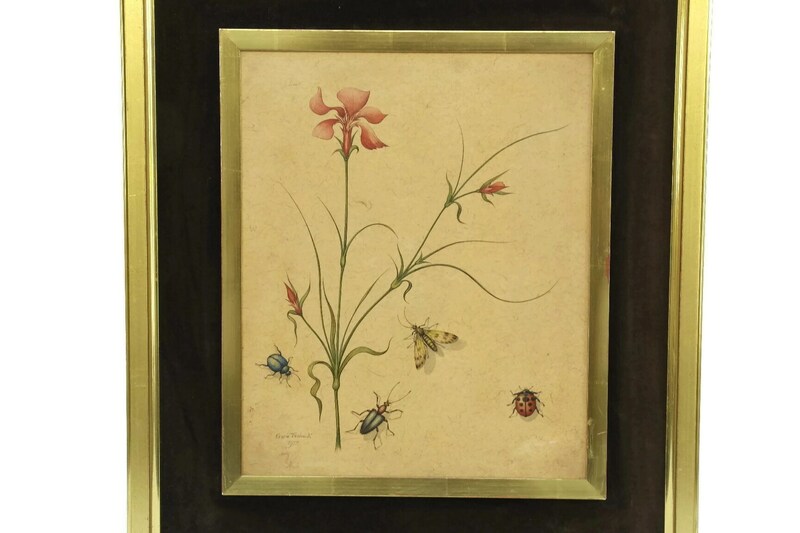 An enchanting insect and flower vintage watercolor painting representing a study of insects and a wild field flower. 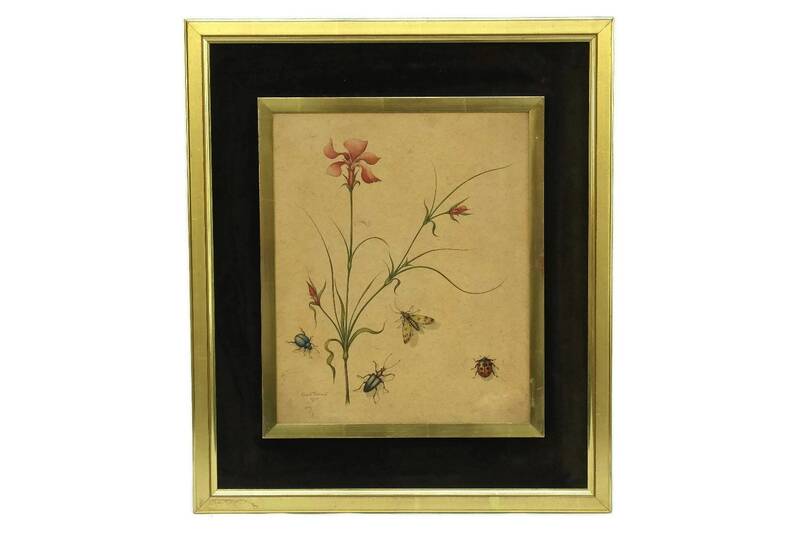 The watercolor has been painted on a hand made vellum paper which has fiber inclusions in delicate shades of pinks, browns and greens and hand signed by renown Swiss artist Erwin Tschudi and dated 1977. 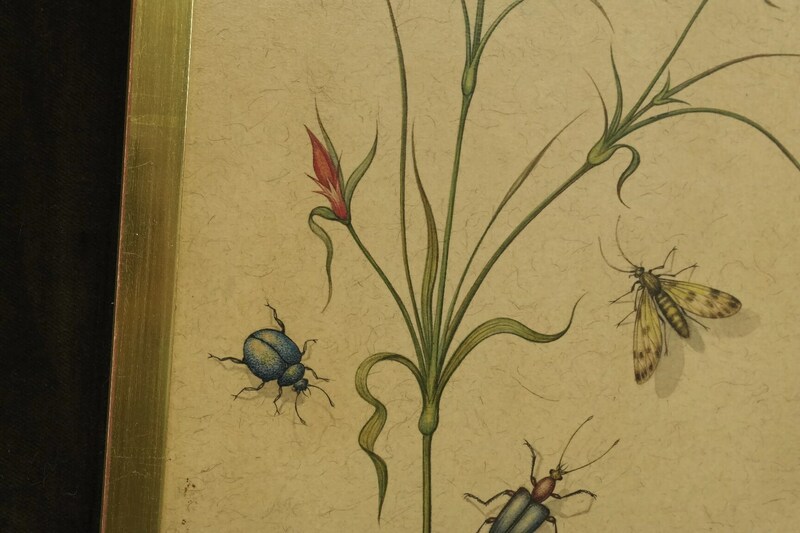 The bug illustration includes beetles, a lady bug and a mouth. 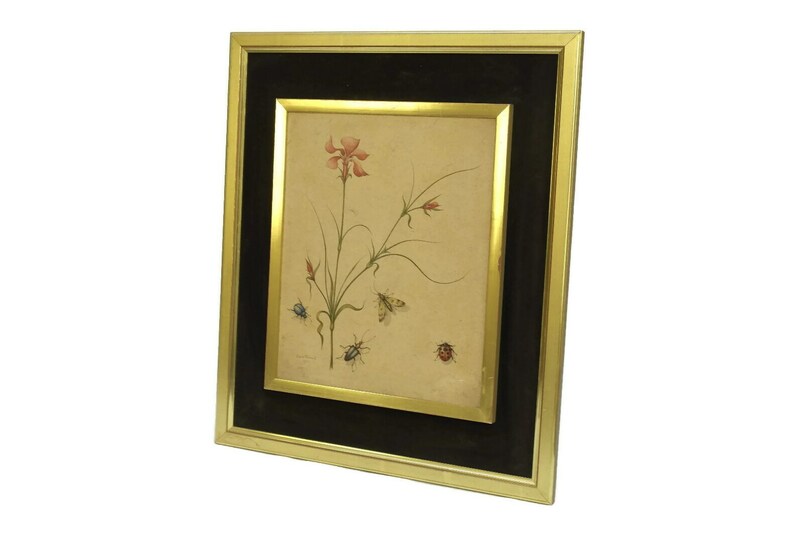 The watercolor has been mounted in a double gold tone metal frame with a wide brown velvet boarder. 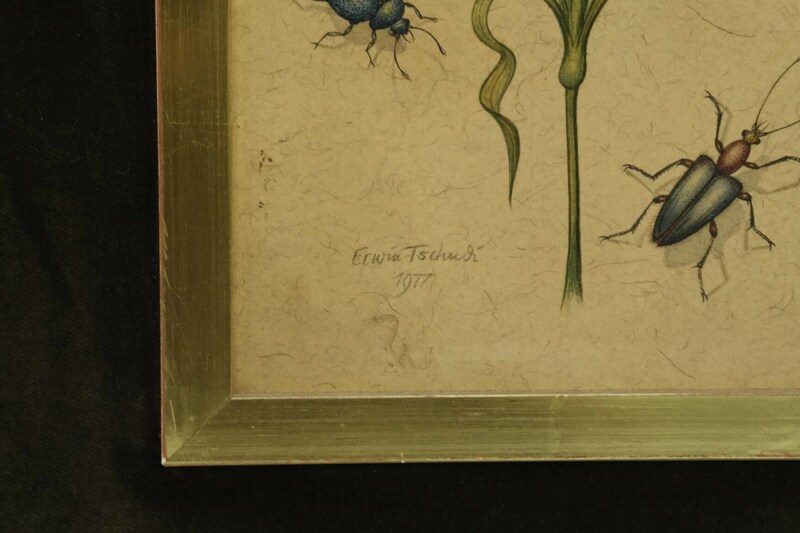 There is a hook at the back of the frame for hanging. 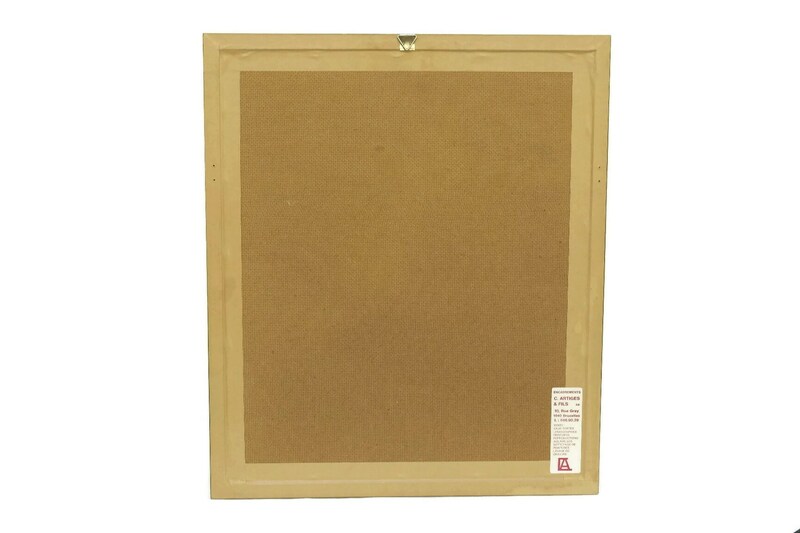 The original wall art will make a great gift for any nature lover. 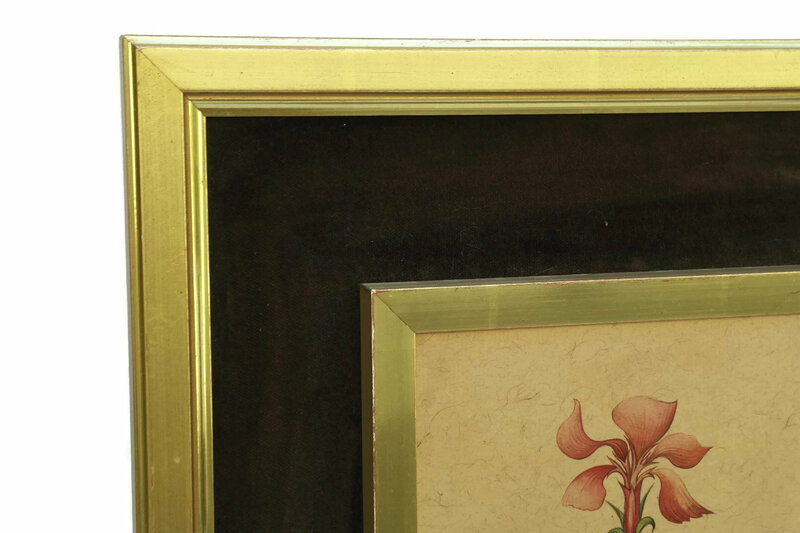 Frame: 20 1/2" Tall x 17 1/2" Wide (52 cm x 44 cm). 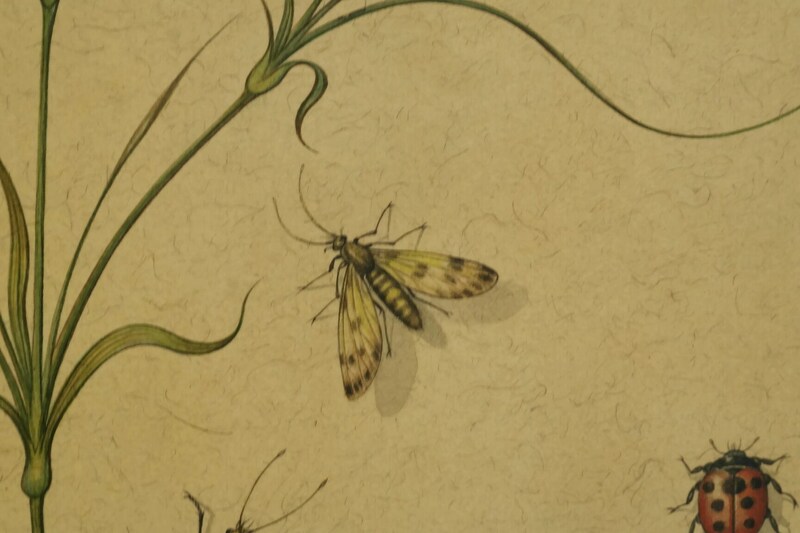 Watercolor Painting: 12 1/2" Tall x 10 1/4" Wide (32 cm x 26 cm). 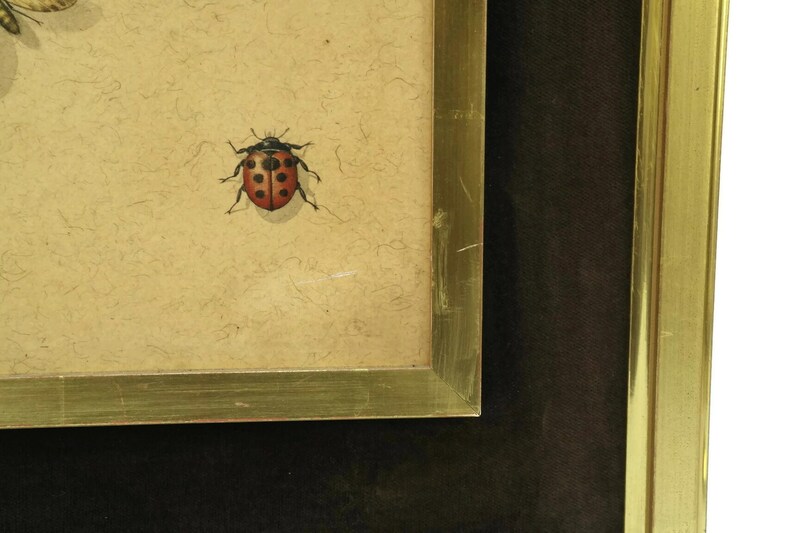 The framed watercolor is in very good condition with light signs of age and wear to the frame. 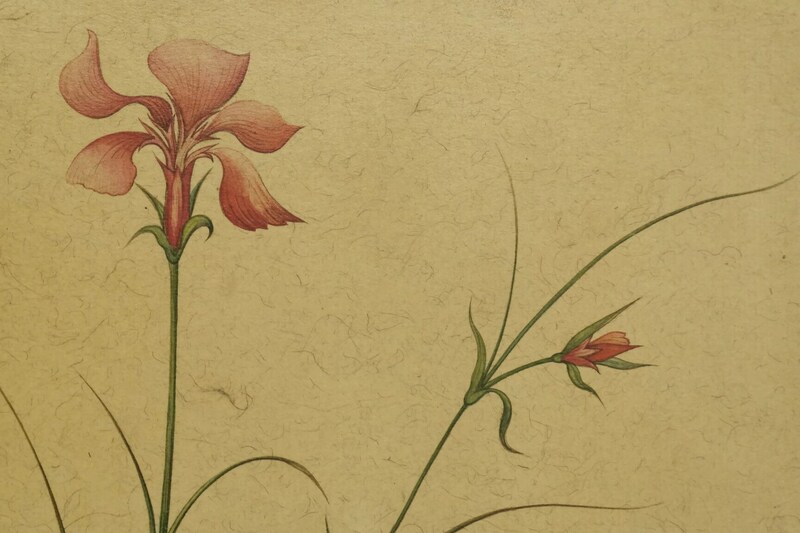 There is light surface marks to the paper and a thin scratch on the lower right corner of the painting.